We operate the latest litho printing Heidelberg presses that offer the highest quality print on a vast spectrum of papers and boards. Litho printing is at the very heart of Shanowenfiles. For decades Lithographic print or 'litho print' as it is commonly known has represented a large percentage of our printing volume. Although often associated with larger print runs litho is ideal for printing Pantone colours when colour consistency is critical to keeping corporate branding creditable. 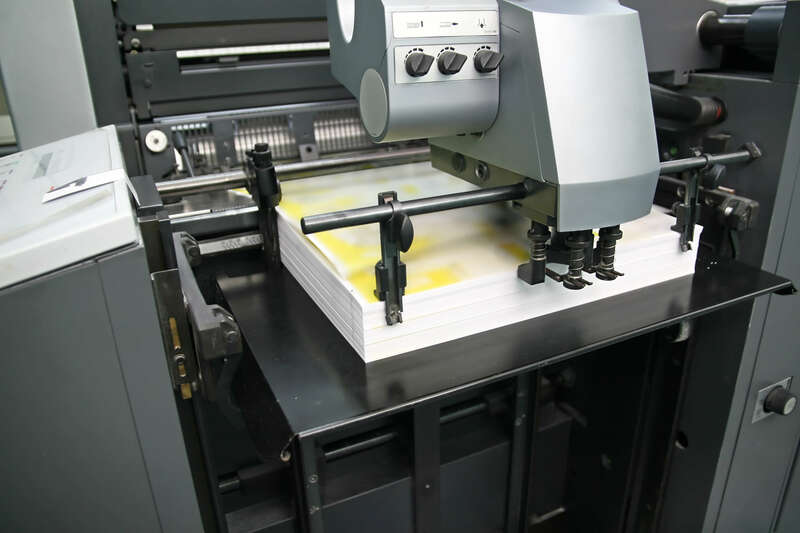 Our print production equipment is tailored to enable manufacture of all requirements from short run digital print to the largest possible quantities of 4 colour forms produced utilising the latest technology. We offer full colour commercial litho printing producing high quality print in Dublin and nationwide, single colour printing, two colour printing, Pantone spot colour printing, digital print, and print finishing in house; providing our clients all the options they need to get their artwork printed accurately and cost effectively. We work hard to make sure that every piece of print material we produce is of a standard which will not just satisfy but delight our customers. Whether your order is for a corporate brochure or presentation folder or a medical document letterheads or business cards you can be assured of the same attention to detail and please remember there is no minimum order requirement. We are happy to do mock-ups so you can be sure what the finished article will look like before we press the “print” button. Offering over three decades of experience in the commercial printing industry, a dedicated and highly skilled workforce and some of the most competitive prices around, Shanowen files has become one of the market leaders in litho printing, finishing and fulfilment in the healthcare system.